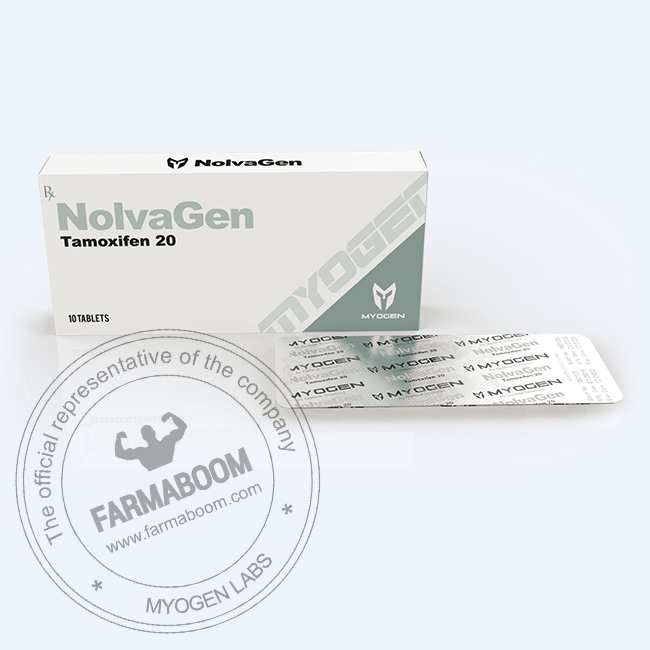 NolvaGen is a SERM (selective estrogen receptor modulator) known as Tamoxifen Citrate. Many bodybuilders use Nolvadex as a part of their steroid cycle and PCT plan (Post Cycle Therapy), as an anti-estrogen to prevent side effects and to restore the body’s natural production of testosterone. It’s one of the bodybuilder’s favorites in a standard support and recovery plan. Having NolvaGen in your PCT plan will ensure high quality protection and recovery from your cycle. A PCT plan is absolutely essential if you are considering taking steroids as following the steroid cycle, the testosterone level is lowered. A solid PCT plan will include NolvaGen and HCG hormone (Human Chorionic Gonadotrophine). NolvaGen will ensure you have enough testosterone for your body to function normally as well as a healthy body. NolvaGen offers many benefits in a recovery plan and it’s regarded as one of the top choices on the market. It prevents the estrogen hormone performing its action within the body. NolvaGen is a SERM with both estrogen agonist and antagonist properties. It blocks the estrogen hormone to protect anabolic users from side effect like gynecomastia. When steroids are taken, they can increase estrogen production and NolvaGen helps to stop this action. Steroid use can suppress natural testosterone production and a recovery plan is necessary to make sure your body returns to its natural hormone levels. When NolvaGen is introduced in a PCT plan it ensures effective and rapid recovery following anabolic steroid use. It greatly stimulates testosterone production and can contribute to fat burning. These effects are especially pronounced for those that have very low body fat, as Nolvadex will increase hardness and lower water retention on cycle, leading to a much more dry and vascular physique. “Nolva” has a low liver toxicity and it’s of great benefit to anabolic steroid users. It was originally created to fight breast cancer, specifically hormone-responsive breast cancer, to stop the action of the estrogen hormone. NolvaGen also prevents anabolic steroids side effects. 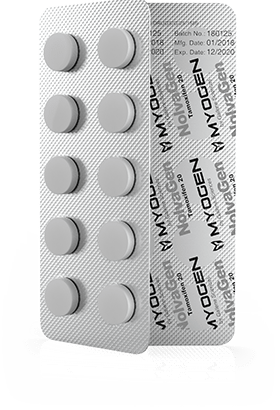 NolvaGen causes an enhanced release by the pituitary of Luteinizing Hormone (LH) and Follicle Stimulating Hormone (FSH) necessary to produce natural testosterone. Both of those hormones promote testosterone production and without them the production of testosterone is not possible. NolvaGen also offers its own strong testosterone stimulating characteristics. PCT : 20mg per day for a couple weeks and then finish with an optional week or two at 10mg per day. How the cycle ends will determine when Nolvadex should be taken.